Why walk when you can ride? Runyon Surface Prep is proud to offer the newest equipment innovation from CPS at its Carmel and Rancho Cordova locations. 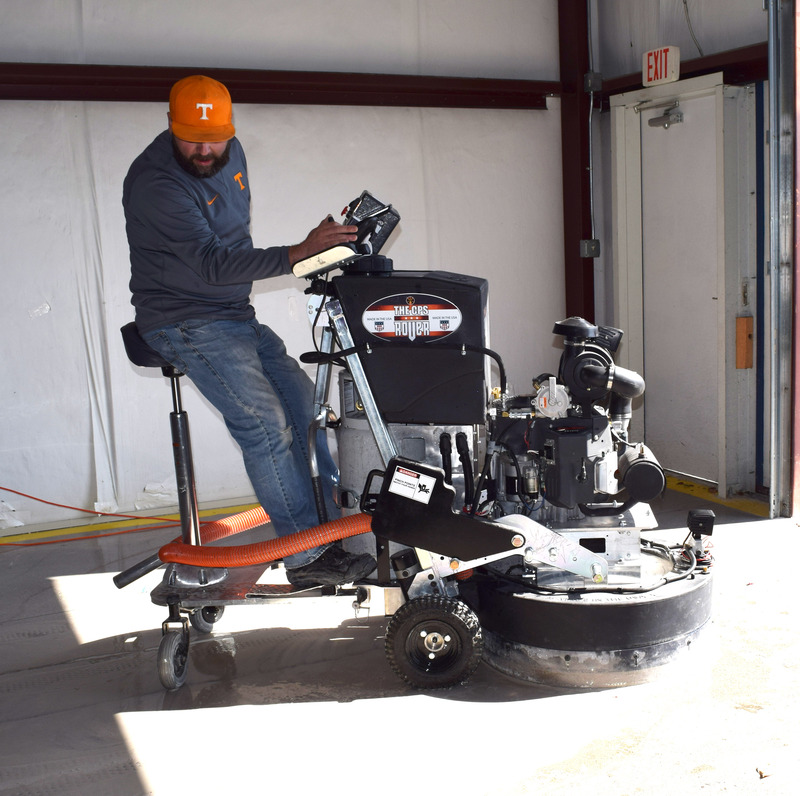 Runyon Surface Prep is now accepting orders for The CPS Rover, a propane-fueled, ride-on concrete grinder with major power and incredible ease of use. 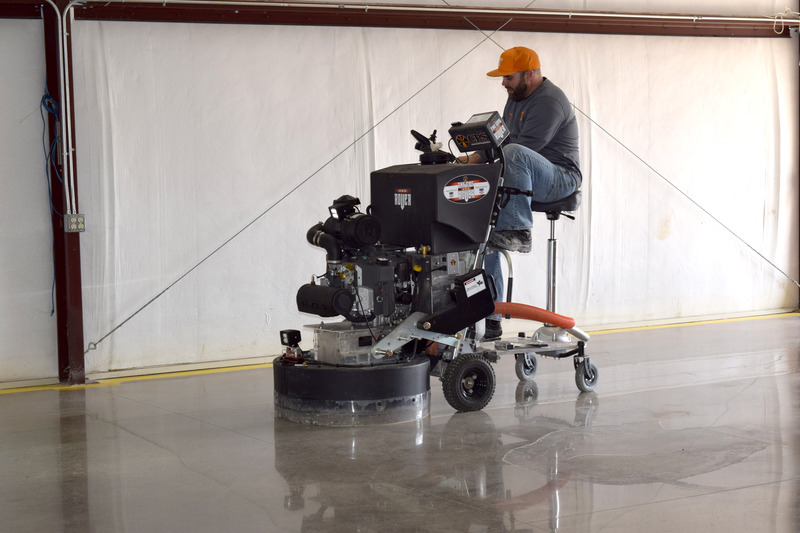 Years of experience in the industry led David Padgett, CEO of Concrete Polishing Solutions, to look for an equipment-based solution to employee exhaustion and labor costs that wouldn’t sacrifice the quality of the end product. The Rover was born. The American-Made CPS Rover is a zero-turn, propane-fueled grinder with a 32” path, perfect for many applications. From the operator’s seat, there is clear visibility of all points on the machine. The precise hand-control and cordless operation makes The CPS Rover the ideal machine for jobs big or small. An onboard electric head lift makes for easy tooling changes and transport, while onboard electric generation allows for adjustable lighting. 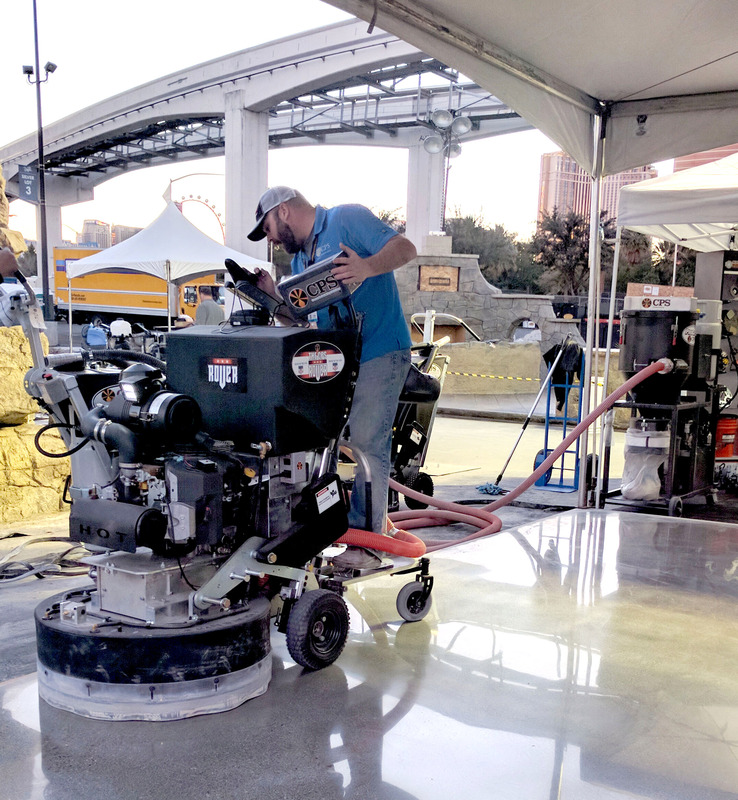 An on-board water sprayer allows for easy wet grinding. 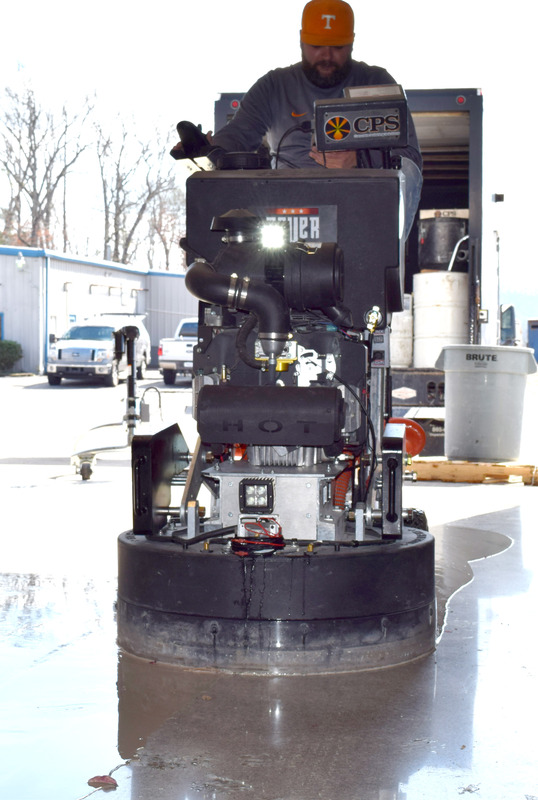 Combined with CPS’ range of diamond tooling, available at Runyon Surface Prep in both Indiana and California, the CPS Rover delivers on power and quality while minimizing operator exhaustion, allowing contractors to save time and earn more. Runyon offers the full line of CPS products, including the G320D Propane floor grinder, metal bond and resin diamond tooling, spare parts and tool holder plates. Please let us know if you’re ever wanting for anything. We can even schedule one-on-one training or a demo of this new machine with our CPS rep and your crews. Contact us for more info!